Nov 21, 2014 /8 Comments/in Brainwashing, Cults, cults and brainwashing, Murder, Radio Interviews /by Patrick Wanis Ph.D.
Heaven’s Gate was another cult -an American UFO religion based in San Diego, California, founded and led by Marshall Applewhite and Bonnie Nettles. On March 26, 1997, police discovered the bodies of 39 members of the group who had committed suicide. In 2011, New Age Guru, NY Times bestselling author of “Harmonic Wealth: The Secret of Attracting the Life You Want”, and a featured teacher on “The Secret”, James Arthur Ray was convicted by a jury on three counts of negligent homicide in the deaths of Kirby Brown, James Shore and Liz Neuman. They were among dozens who participated in the Sweat Lodge ceremony Ray led near Sedona in October 2009. And in 2011, Mahendra Trivedi, was touted as a healer, with “the ability to change the molecular structure of cancer cells, radioactive water, virus, bacteria, fungus etc” and his promotional material claims “He has had success with advanced cancer, rheumatoid arthritis, fibromyalgia, chronic headaches and many other health challenges.” Trivedi’s followers and sales affiliates and promotional and marketing materials refer to him as the Second Coming of Christ. Despite unsupported and undocumented claims of the existence of four thousand studies from institutions around the world, Penn State University, the only US institution to research Trivedi’s alleged gift and ability found no substance to his claims. “Mahendra Trivedi was tested extensively at the Penn State University’s Materials Research Laboratory on several occasions from June – September 2009, and we did not observe any changes in materials or their properties as a result of his ‘blessings’” wrote Dr. Tania Slawecki. Now people close to Trivedi claim he is a scam artist, a cult leader and a fraud with some women accusing him of sexual harassment and sexual assault. How do brainwashing, mind control and influence occur? How do intelligent and educated people fall into the hands and the mental, emotional, psychological and sexual control of cult leaders, false teachers and corrupted gurus? Patrick Wanis PhD reveals that cult leaders often display strong characteristics of narcissism as well as profiles of a psychopath: a charismatic leader who increasingly becomes the object of worship creating disciples, followers and devotees; they engage in processes of “coercive persuasion”, “thought reform” and “acts humiliating followers” and; they manipulate and exploit the people who idealize and idolize them, and they manipulate and exploit those people economically and sexually. Patrick Wanis PhD reveals the six key human emotional needs that unknowingly influence an individual’s decision-making process and easily leads them into cults, brainwashing and mind control. 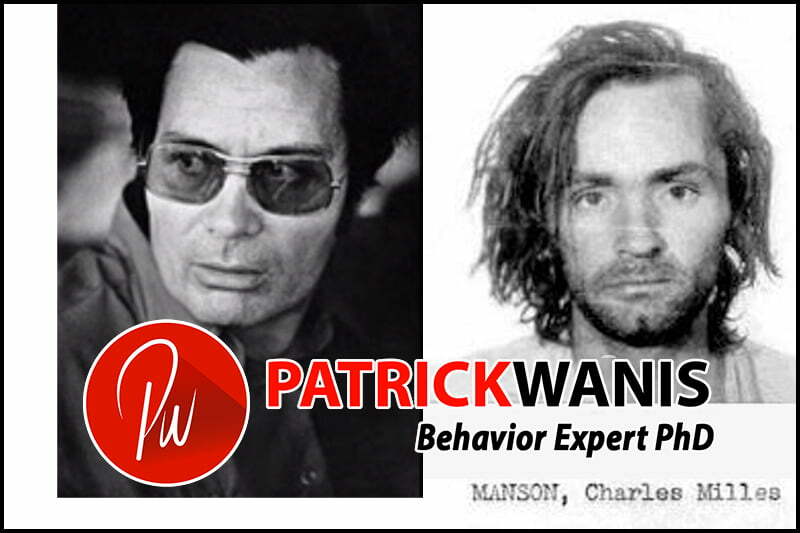 Wanis reveals how people become victims and examines the James Arthur Ray case, Mahendra Trivedi and Charles Manson as individuals with highly persuasive tendencies that led them on the path to becoming gurus/cult leaders instead of teachers. Patrick Wanis PhD also reveals the reasons why most of the victims of these cult leaders are women and explains why these types of groups/cults often replace the role of traditional religion.